Fort Collins and Northern Colorado are hot spots for rentals. With a major university in the heart of Fort Collins and this city being listed as one of the best places to live in the country, it is no surprise the people are flocking to our great town. Property managers and even just your average Joe are increasing their annual income by investing in rental properties for families, college students, and young adults. If you have invested in a few rental properties of your own, you may already be making a profit. But you want to make sure your rental stays pristine and clean, keeping it in the running among the many other properties that people are looking at. 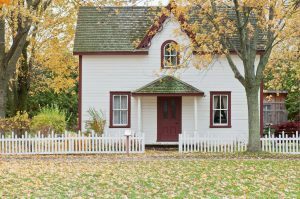 If your rental property is a side gig for you and you still work full time, you will likely not have a ton of time to invest in your property. While we may not be able to help you with a ton of the rental property tasks, there is one very important task we can help you with! Our team at Clean Bees Homekeepers in Fort Collins can provide you with the cleaning services you need for your rental properties. Hiring our team of professionals between tenants can help you keep your rental in the best condition. We offer Good, Better, and Best cleaning options for your rental, allowing you to pick the amount of deep cleaning you want between tenants. In this blog, we are going to discuss the benefits of hiring a professional cleaning service for your rental property! Read on to learn more and be sure to request an estimate today! Owning a rental property (or multiple), working a full time job, being a parent, having a social life, and spending some quality time with your family can make you a very busy person. Even if you aren’t working full time and only own multiple rentals throughout the town, you are likely always busy fixing something for your tenant, dealing with problematic tenants, or trying to find new renters. Owning rentals is a full time job in itself. We are sure you rarely have time to clean your own home let alone the rentals after a tenant has moved out. Our team can help save you time by cleaning your rental properties for you! We will be able to take care of all the cleaning tasks you need in order to get your rental back in perfect condition. While we clean, you can worry about the more important issues. If you want to keep your rental property filled, you will need to make sure any potential tenants happy with the shape your rental is in and they don’t find any issues during showings. A clean rental is much more likely to get rented than one that has cobwebs in the corners, dust bunnies on every nook and cranny, and stains on the floors. Make a good first impression by getting your rental professionally deep cleaned between tenants. No one wants to move into a rental that they have to deep clean themselves before feeling comfortable in it. 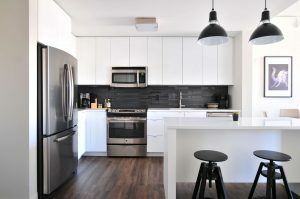 When you provider renters with a clean, beautiful, and quality rental property, you will build yourself a better reputation. Since this is a college town, there are many rentals that are not as nice as some tenants would hope for. Be sure to stand out by getting your properties professionally cleaned and keeping your property in great condition. These are a few of the many reasons to get your rental properties professionally cleaned. In a future blog, we will go over some additional benefits of having your rentals cleaned by our team! For now, contact Clean Bees Homekeepers in Fort Collins to get your rental property deep cleaned and ready for your next tenant!